You do not have to be BIG and BRAVE to find your roar. Being little isn’t always easy. But when Mouse sets off on a journey to find his roar, his discovers that even the smallest creature can have the heart of a lion. 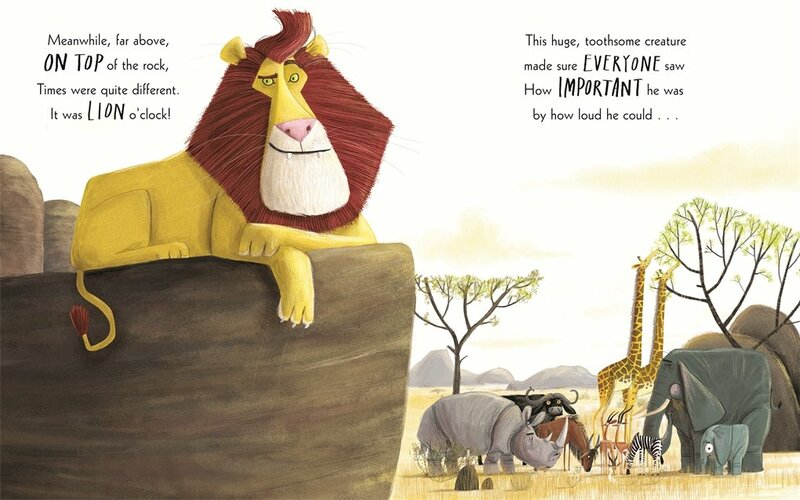 The rhyming lyrical language along with the energetic illustrations make The Lion Inside an entertaining read out loud book. There are plenty of thrills from the lion lifting a hippo to show off his strength to the mouse trudging through the scary landscape to face his fear. Illustrator Jim Field shifts to different perspectives to give readers a full sense of the tension and action. The author Rachel Bright has created interactive opportunities. There are fun sound words like eeek, roar, and squeak that children will want to mimic. She utilizes the ellipsis to build suspense and to encourage children to guess (or remember) what will happen next. However, the best part of the story is message. 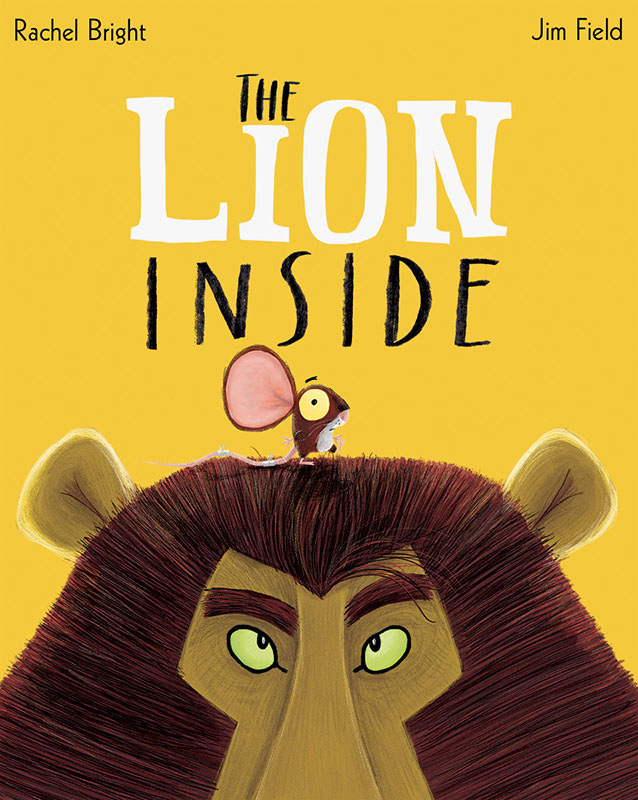 Mouse, a small and meek character, finds his voice while lion, a loud and proud character, learns to be more humble. The ultimate lesson learned is that everyone has a little mouse and little lion inside. 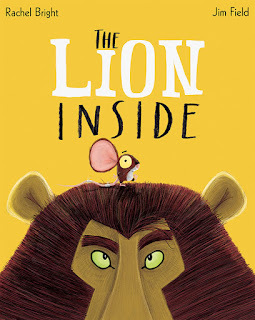 I recommend The Lion Inside for your next storytime. This interactive and engaging text is sure to be a hit! Comparison: Compare and contrast the lion and the mouse. An important area of comparison is how they both have a fear. Rhyming Words: Identify the rhyming words in each poetic stanza. Brainstorm other words that rhyme with them. Alliteration: Several lines have words that begin with the same sound. See if the child/children can identify the matching words. 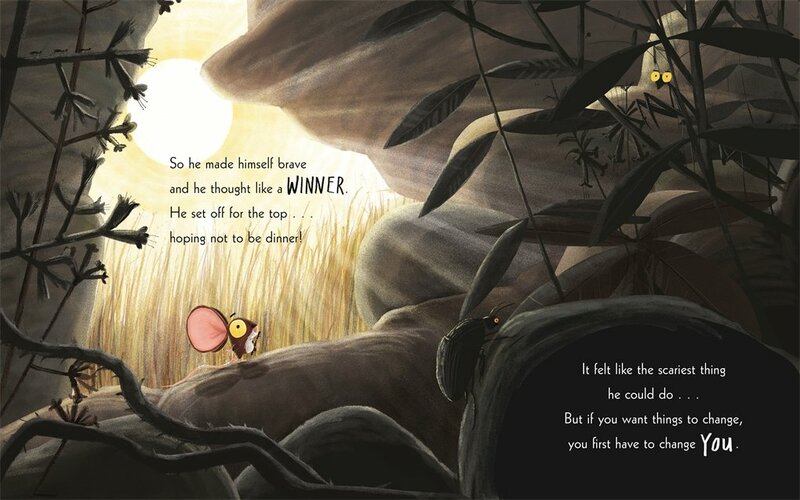 Character: Discuss how mouse learns to be bold by finding his voice and speaking out. Talk about the right way of being bold and the wrong way (rude, showy, arrogant). 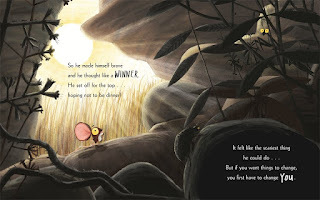 Literature: Read a comparable story like Aesop’s “The Lion and the Mouse.” Jerry Pickney has a picture book version. Art: Plan a fun craft project to make a lion and a mouse. Dramatic Play: Children can act out the story using simple props: Lion and Mouse masks. Sound Words: Identify sounds words (onomatopoeia) in the story, such as gulp, squeak, roar, grrrr, and eeek. Science: Read about the African savannah. 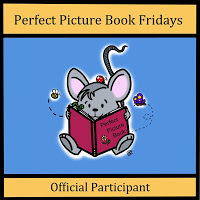 Visit Susanna Hill for Perfect Picture Book Friday. What a great message for everyday life. Kids will get the message and love the story! 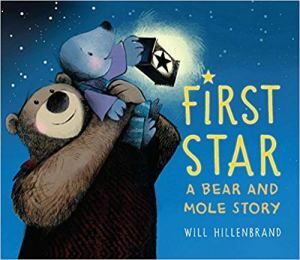 The meter of this rhyme reminds me of "Bear Snores On," another great read aloud. I love the illustrations, too.